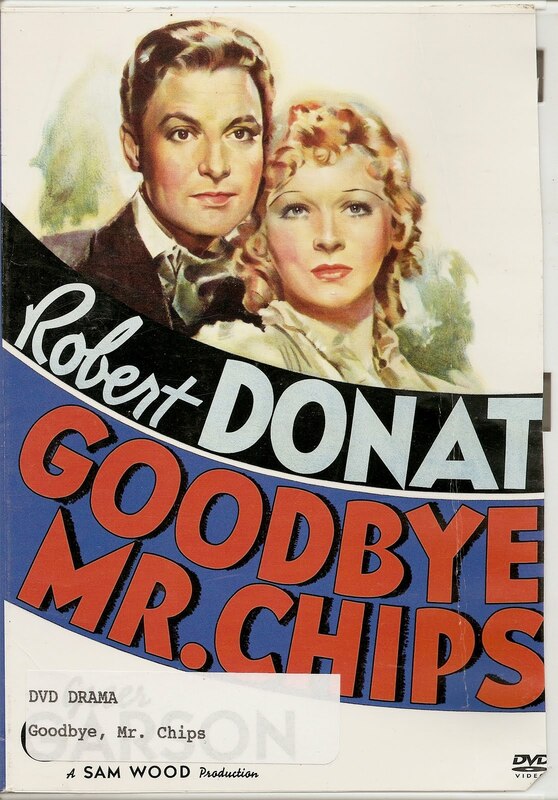 I have to confess that this movie has always been a favorite of mine, mainly due to the personality of Mr. Chips, which in my earlier years, reflected my own lack of confidence and shyness. And like Mr. Chips, I have required time and patience to overcome these obstacles. This movie, like so many others, begins at the end. 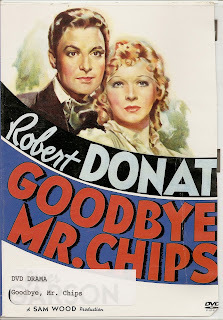 It is 1937, and Mr. Chips is instructed by his physician not to attend Graduation ceremonies at Brookfield, an upper crust English boarding school, for the first time in 57 years, due to his health. Naturally he attends at the last possible moment before retiring to his cottage, where he falls asleep in front of the fire, reminiscing about his life as a teacher, and later, Headmaster of Brookfield. The rest of the movie is a flashback of his life at Brookfield, from his first days as a novice teacher until his final days as the most beloved and respected of his peers. When he first arrives at Brookfield he is unsure of how to proceed. For awhile it looks as though he has chosen the wrong profession for a shy and gentle man. His first days as a new Master are an exercise in futility. But time wills out and he slowly becomes an object of affection to his students. When his German colleague takes him home for the holidays, Mr. Chips is transformed in many ways. He goes hiking in the mountains and gets stuck in the fog, forcing him to wait it out alone. Hearing a woman's voice calling out, he begins a perilous climb in search of the woman he assumes to be stranded. The woman turns out to be Katherine, an Englishwoman played by Greer Garson in her first screen role, for which she received an Oscar Nomination. She is the exact opposite of Mr. Chips, modern and outgoing. She even rides a bicycle! They spend the evening on the mountain waiting for the fog to lift. They become close quite quickly due to the anonymity provided by the fog and being so far away from the real world down below. Their affection for one another is palpable, but Chips dares not act upon his feelings, fearing rejection and humiliation. Actually, until he meets Katherine he is called by his surname of Mr. Chippings. It is Katherine who renames him "Chips." When he and his German colleague Max, played by Paul Henreid, continue on their walking tour of the mountains they encounter Katherine and her lady companion once again. They become inseperable for the remainder of the trip, although Chips is still too "proper" to make his feelings known to this forward thinking woman. Indeed, it is she who engineers his asking her to dance on their last night together. And at the train station, while saying goodbye, she kisses him goodbye. To his way of thinking he is now engaged! Katherine has successfully maneuvered him into a de-facto proposal of marriage. When Chips arrives back at Brookfield, his bride becomes the object of curiosity and attention at the all male school. His students are simply shocked that he has a wife at all, while his bachelor peers are in awe at the beauty she brings to the school. They cannot understand how the shy and uncertain Chips could have attained this beautiful woman for a bride. His marriage marks a wonderful change in his life. Katherine has the boys over for tea and becomes a part of the school. She helps Chips bring a new way of thinking and teaching to the institution. When she passes away during childbirth,on April Fools day, along with the baby, Mr. Chips is left alone once again. It is almost as if fate is mocking him. But the lessons he has learned about taking chances and looking at things in a different light, endear him to both students and faculty. When the First World War breaks out he watches as several of his students and colleagues march off to war, some never to return. When he reads out the name of Max, the German Professor, who had returned to his country at the outbreak of the war, along with the names of the English dead, the students, and the viewer, cannot escape the message that all lives hold value, even the lives of "so-called" enemies. As a result of the shortage of manpower due to the war, Mr. Chips is finally made Headmaster, a position he has dreamt about for the last 50 years. When he finally retires and passes away, it is with contentment. He has tasted of love and left his mark on several generations of young men, who are better off for his having taught them. This movie is a gem. A more poignant film would be hard to come by. I have never read the book, written by James Hilton, actually I have never even seen a copy of one. But I will be looking for it at the library, and reviewing it here. This was a wonderful viewing experience which I did not want to end.